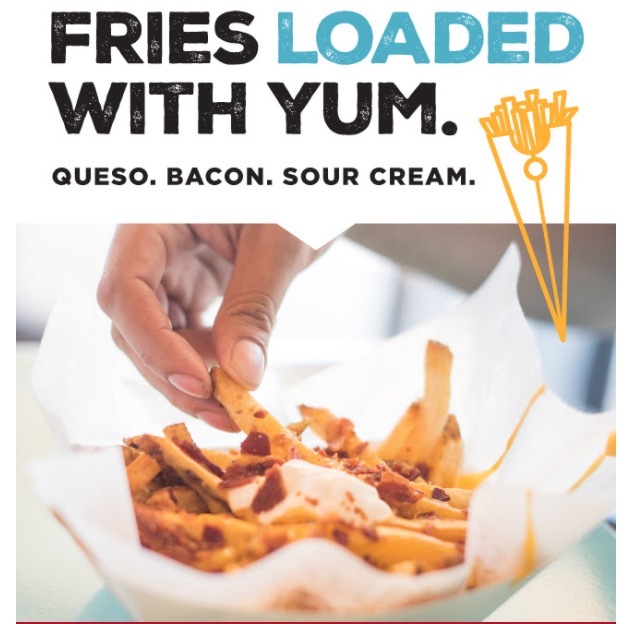 Get your hands on our Loaded Fries FREE with a purchase of equal value. Valid thru 1/24/18. Present email printout or show this special on your phone at the register. PreviousPrevious post:FREE Salad! YUMNextNext post:Get a FREE Bagel Burger!